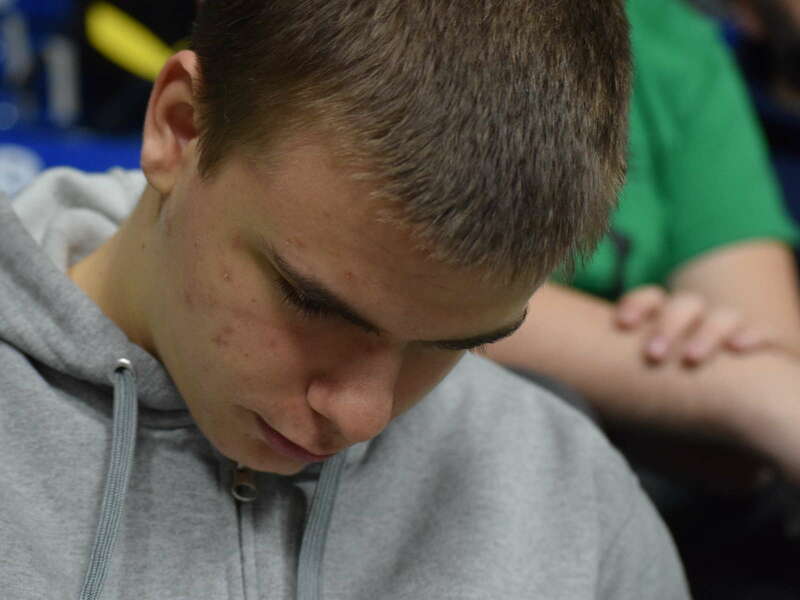 Danny entertains himself with his phone while waiting for his team's turn in the robotics competition in Maine. 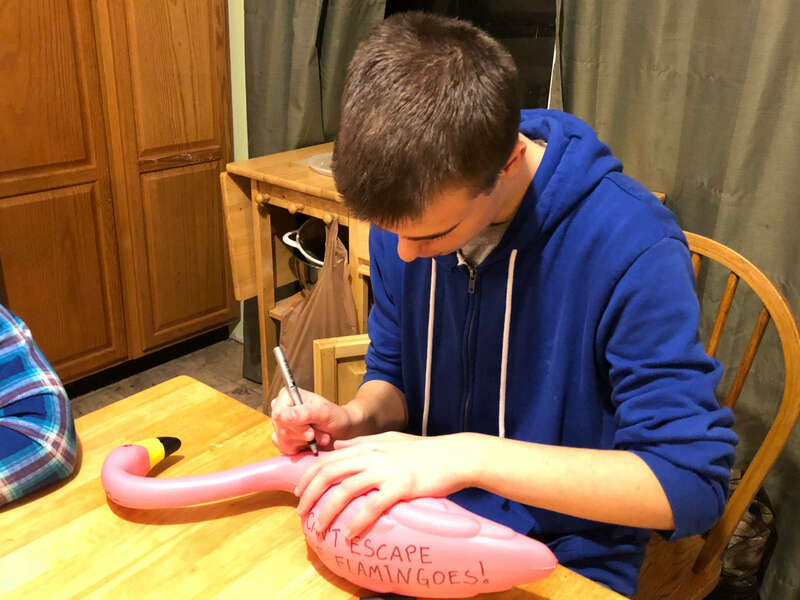 Danny signs one of Tom's lawn flamingos. 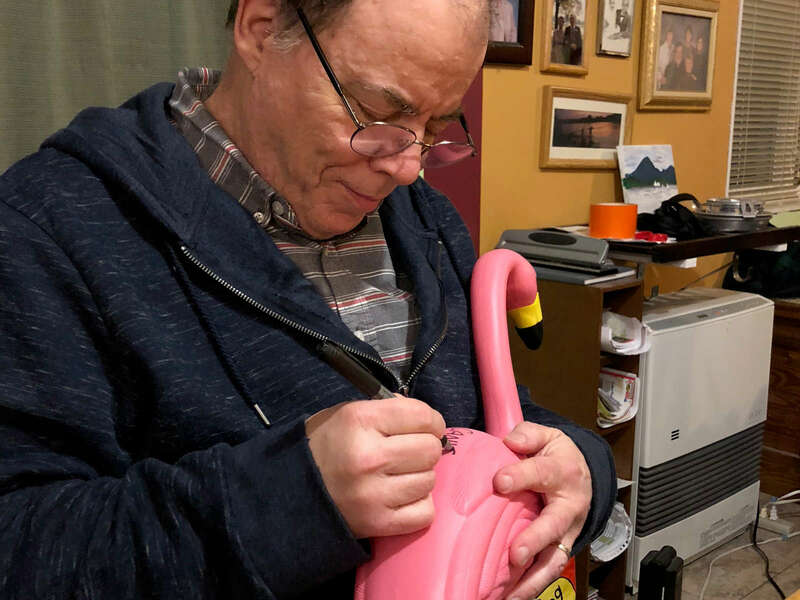 Gordon signs one of the lawn flamingos that we got for Thomas, a joke that grew out of his birthday card. 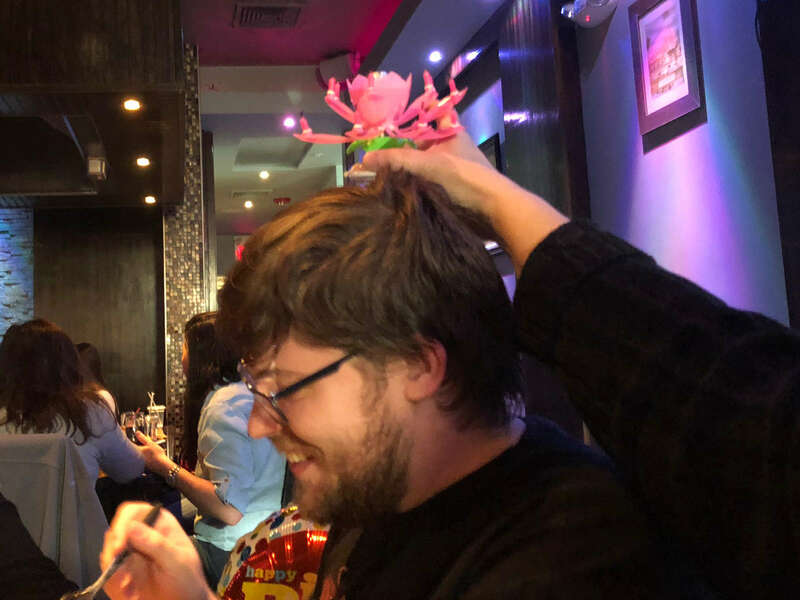 Thomas gets tortured with the lotus flower, which played "Happy Birthday" without end, at his birthday celebration at a Japanese steakhouse. 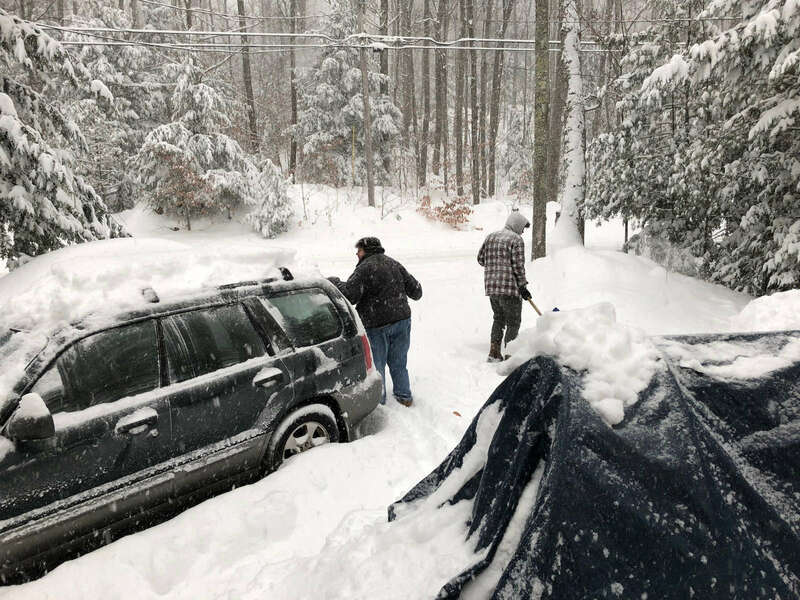 Karen, Danny, and William dig out the Forester so that Karen can get to work in the snow, and so Gordon can get to the snow blower and clean up the yard before he leaves for work. 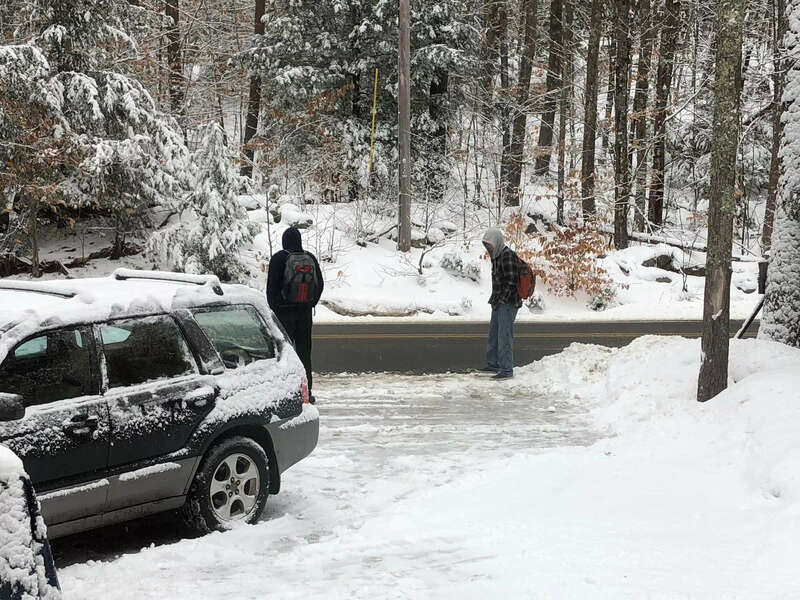 Karen watches while Danny shakes some snow off the trees during one of two late-winter Nor'Easters that hit us less than a week apart. 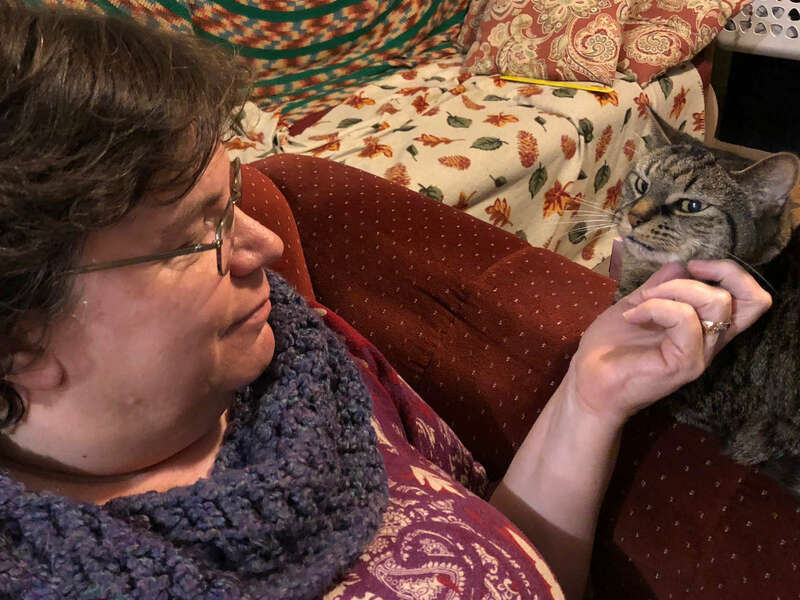 Karen gets some feline company while she's watching TV. 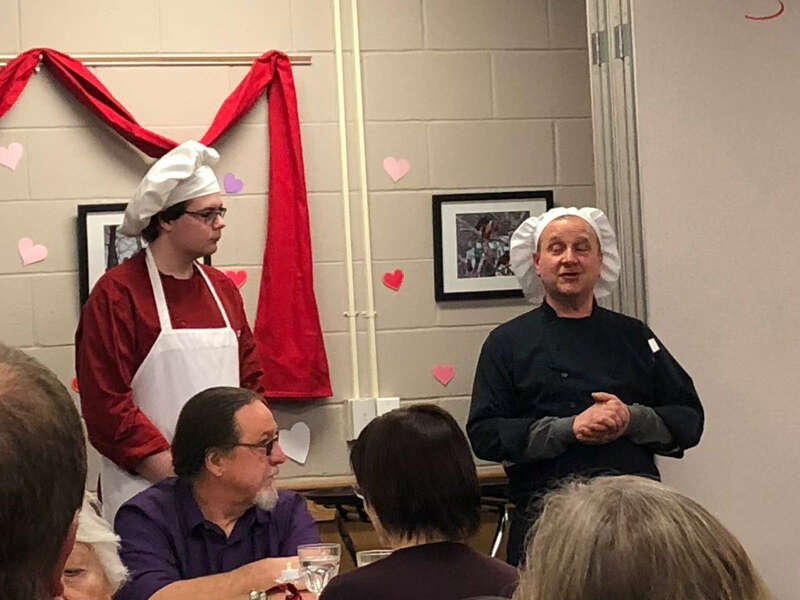 Being introduced by the culinary arts instructor, William stands ready to present one of the courses of the meal he and his classmates prepared for Valentine's Day. 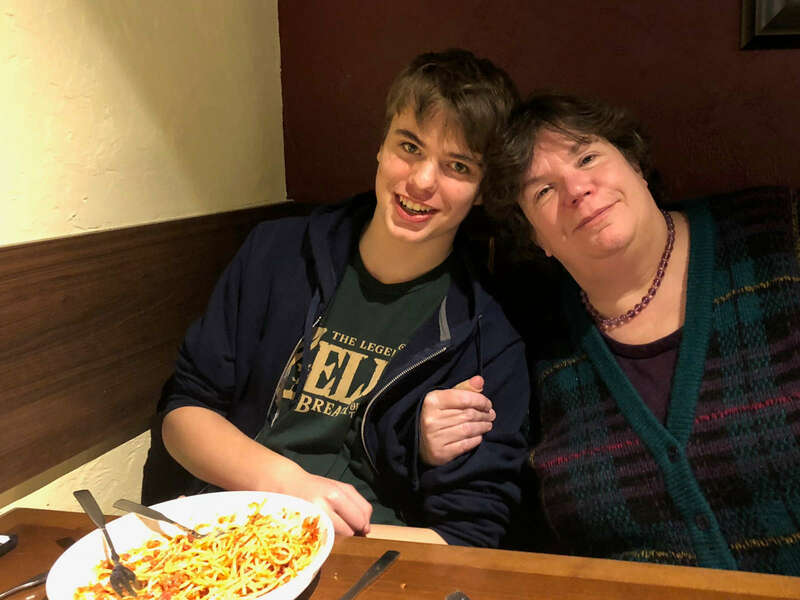 Danny and Karen enjoying dinner at The Olive Garden, where they ate with Gordon and William after seeing "Black Panther." 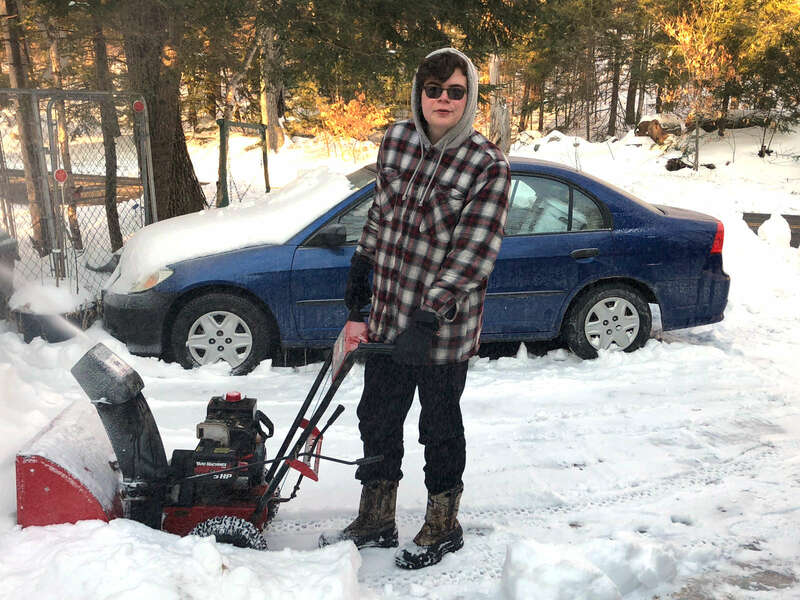 William uses the snow blower to remove one of our few big storms this year. So far. 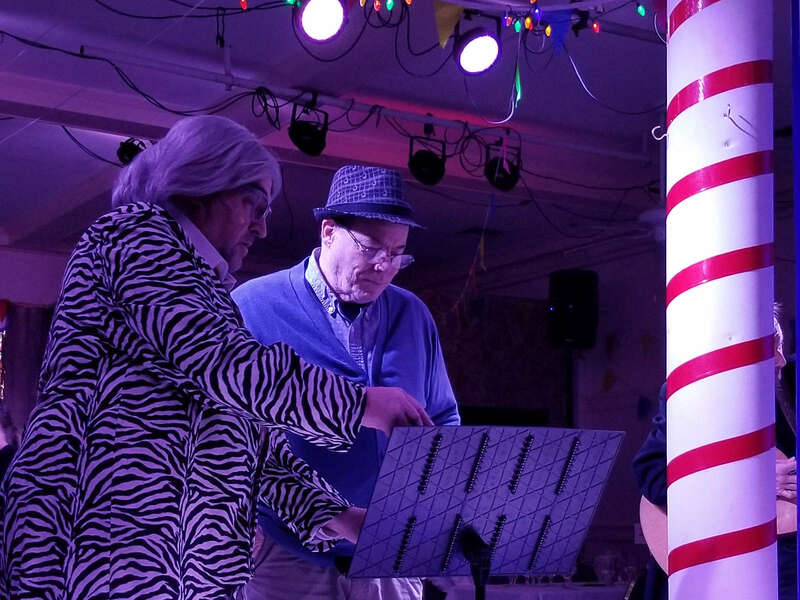 Gordon got volunteered to sing at the dinner theater show. 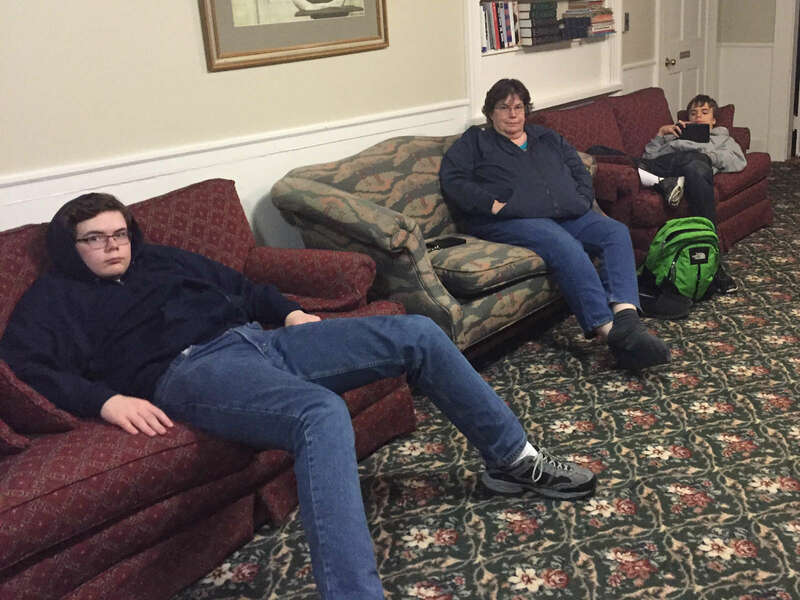 Karen, Gordon, Erin, and Thomas in the lobby of the Governor's Inn after a fun night of dinner theater. Karen and Gordon enjoying dinner theater in Rochester with Tim and Erin. 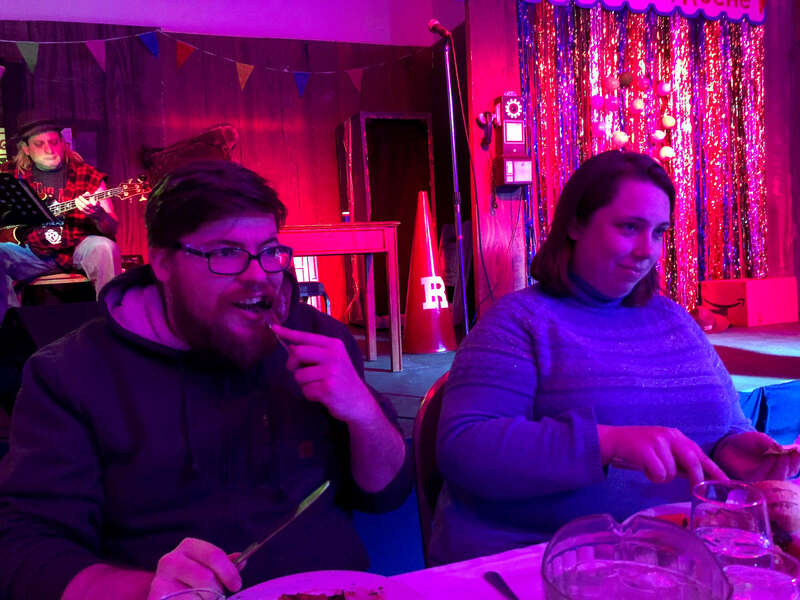 Thomas and Erin starting their meal at "Cirque Du Roche," a play we saw at the Governor's Inn in Rochester. 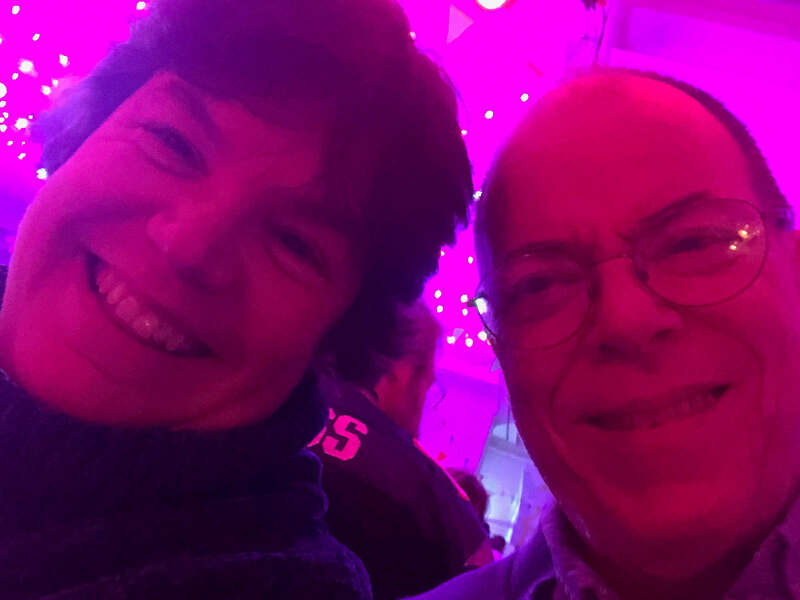 Yes, the lighting was that pink. 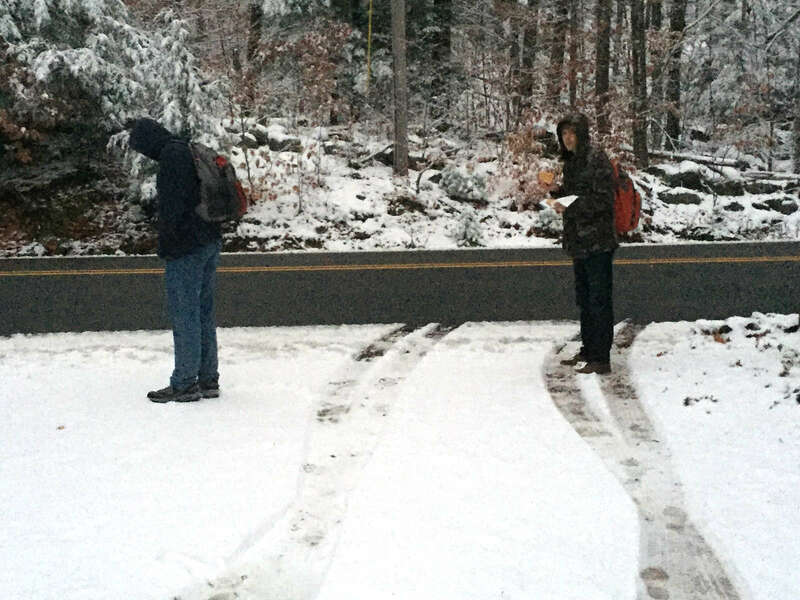 Just a couple of guys who grew up in New Hampshire, waiting for the bus, in the snow, wearing hoodies. 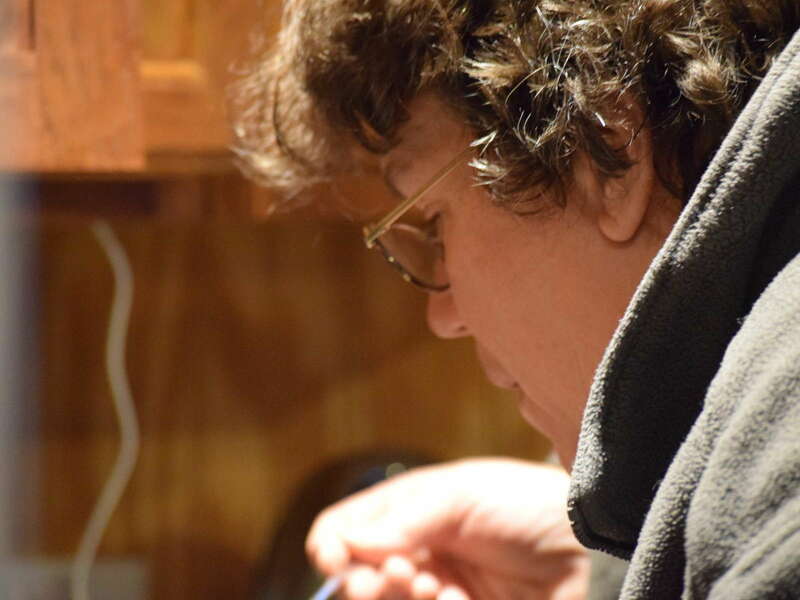 Karen tastes the French onion soup she made. 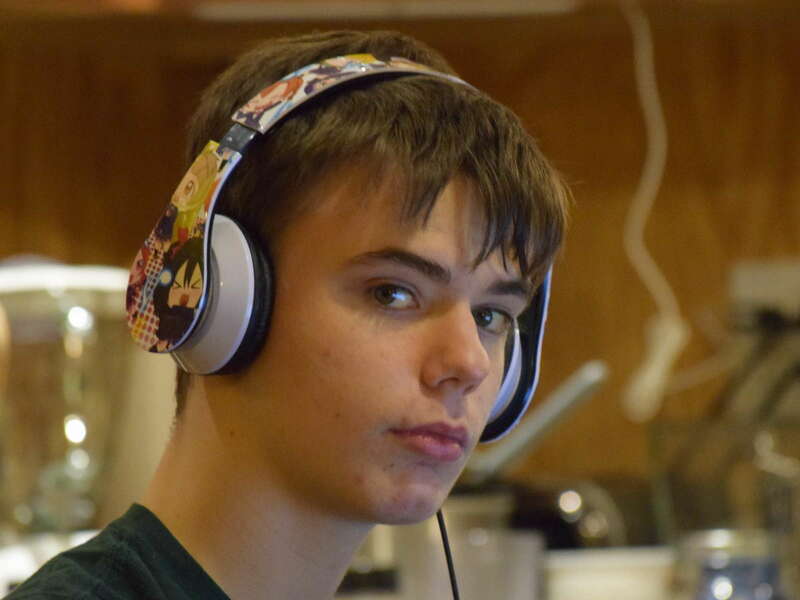 Daniel, wearing headphones he got from Tom for Christmas, listens to and watches a video on quadratic equations to help him prepare for a math test. 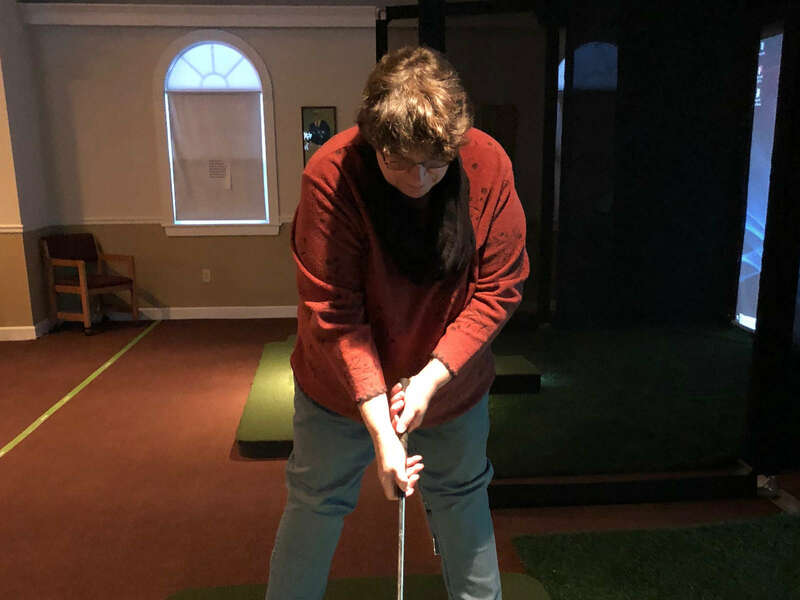 Karen tries out a golf simulator at the restaurant attached to the local golf club. 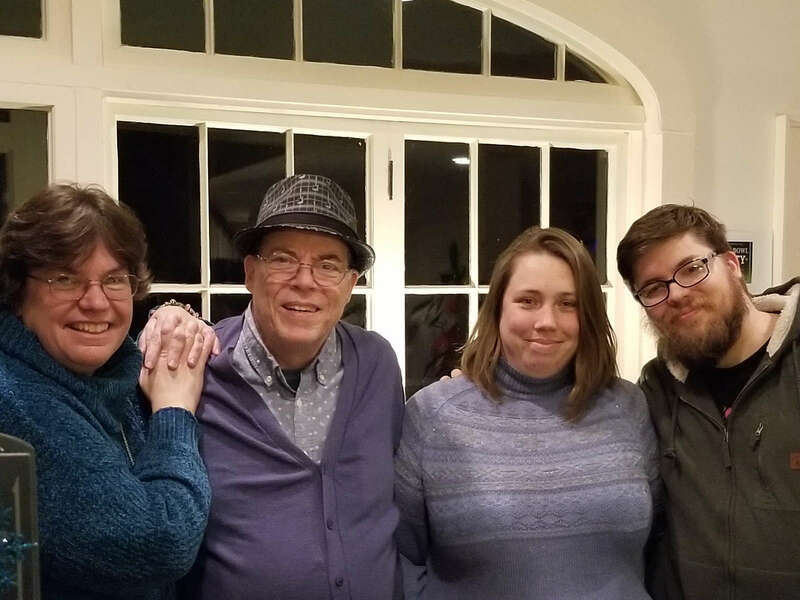 We all got together (except for Erin who was away with family) for burgers and indoor golf. 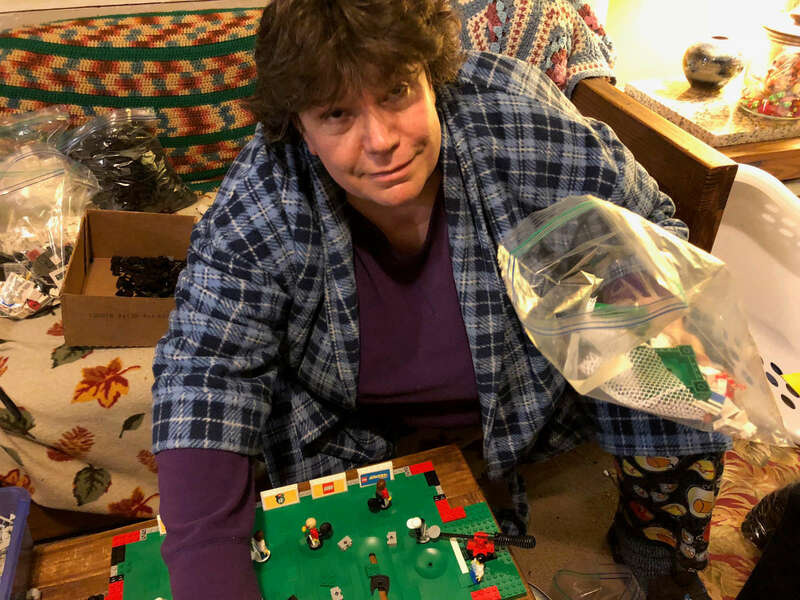 Karen sorts through some old Lego pieces. We're trying to sell some of our sets to pay for some rare and hard-to-find Harry Potter pieces, which have become part of our Christmas decor. 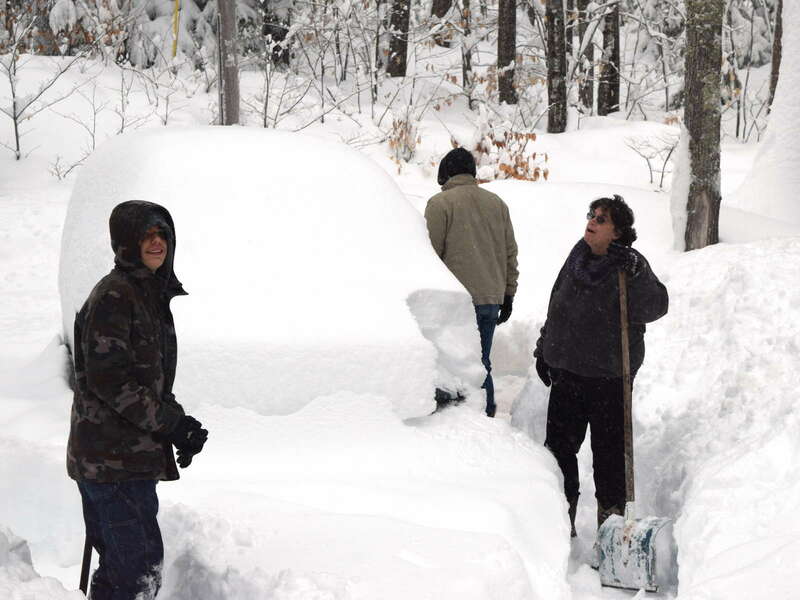 Karen and William get the car clear and the drive shoveled enough to get Karen off to work. 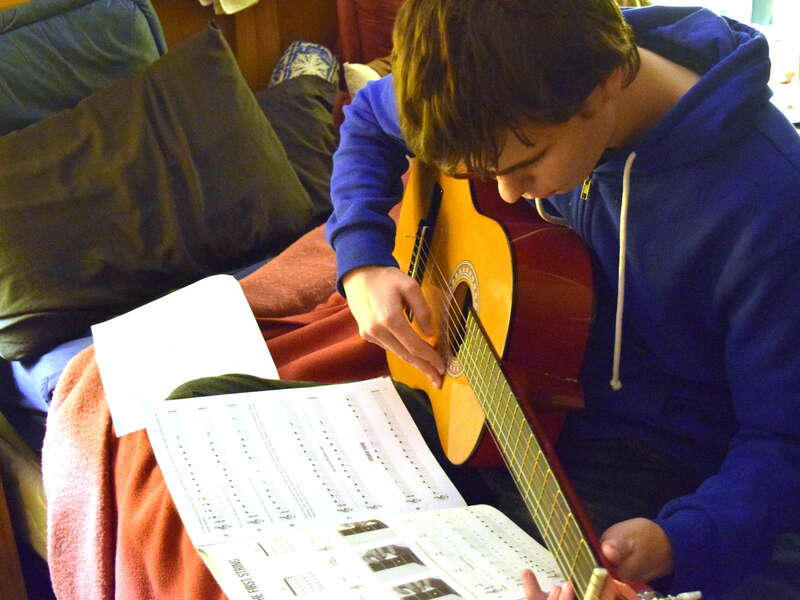 Daniel sits in Karen and Gordon's bedroom and practices the guitar. He's taking guitar class at school this quarter. 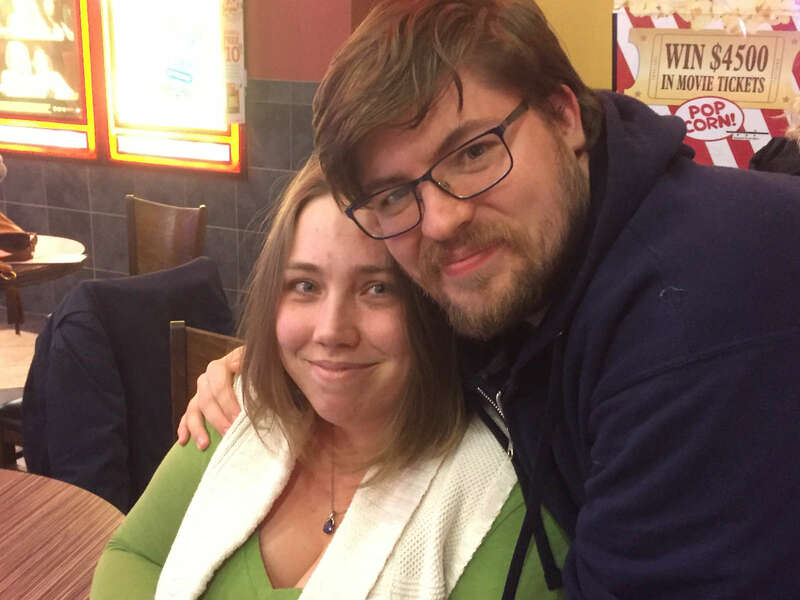 Erin and Thomas, during one of the rare times we get to visit with them, this time at the movies after our Thanksgiving meal. Karen shows Erin some pictures she took during her camping trip; phones not only serve as pocket cameras, but as portable galleries. 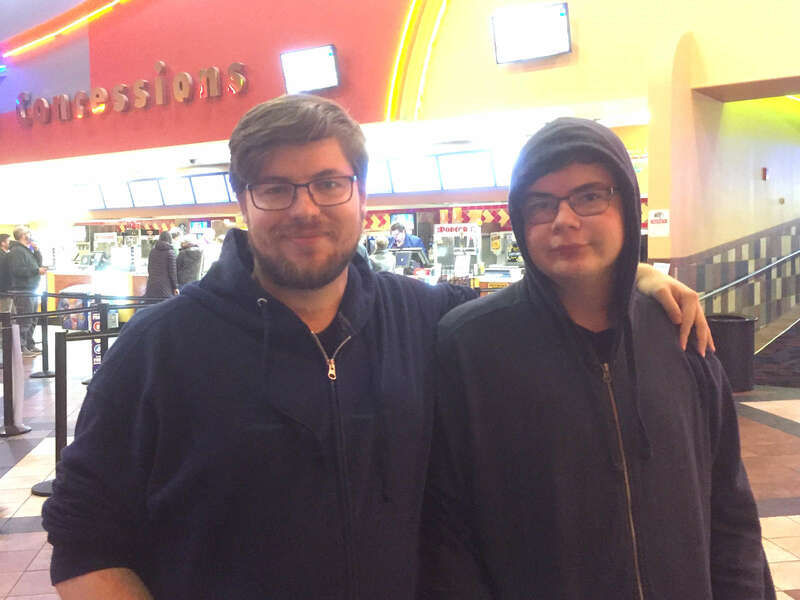 Thomas and William on the way out from seeing "Coco," the new feature from Pixar. This is how we spent the afternoon of our Thanksgiving this year. 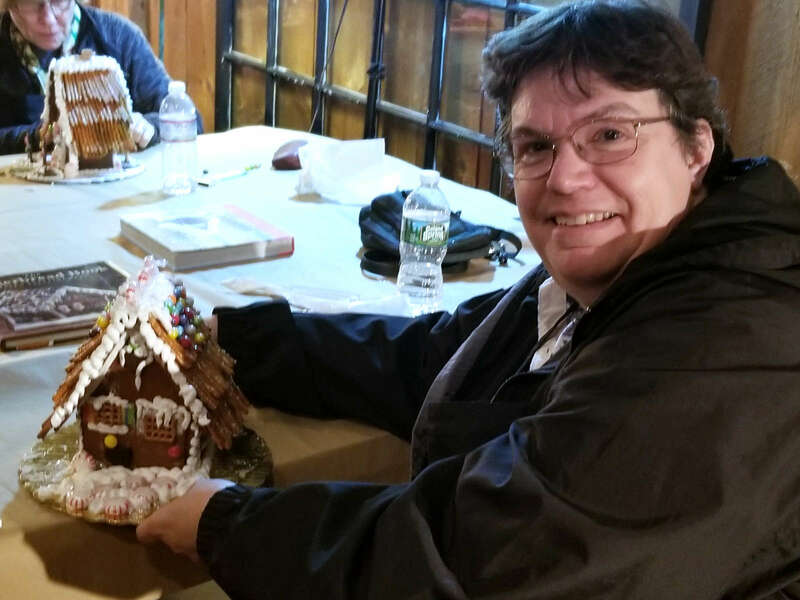 Karen shows off the gingerbread house that she made at a workshop. 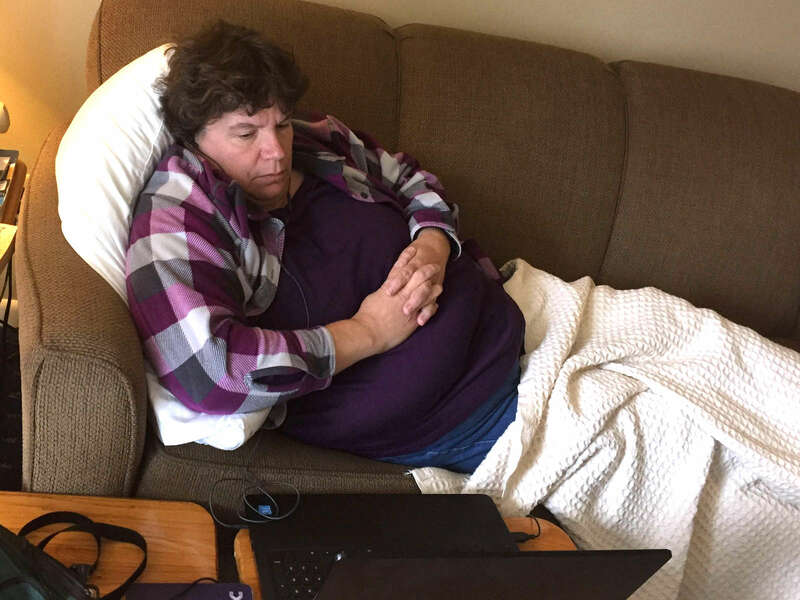 She had only found out about the workshop the same day she took it, while she and Gordon were eating lunch at the tech center restaurant where William takes culinary classes. 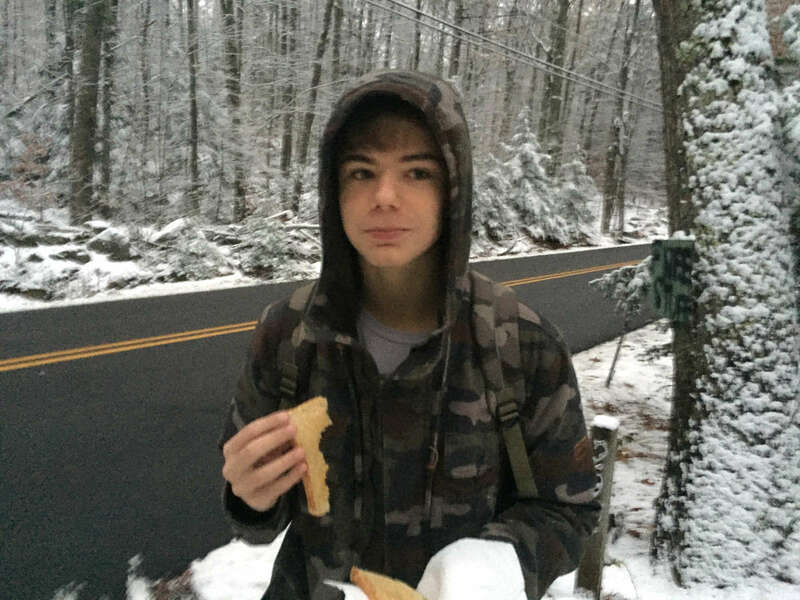 Daniel munches on some toast while waiting for the bus on a snowy morning. The boys waiting for the bus. 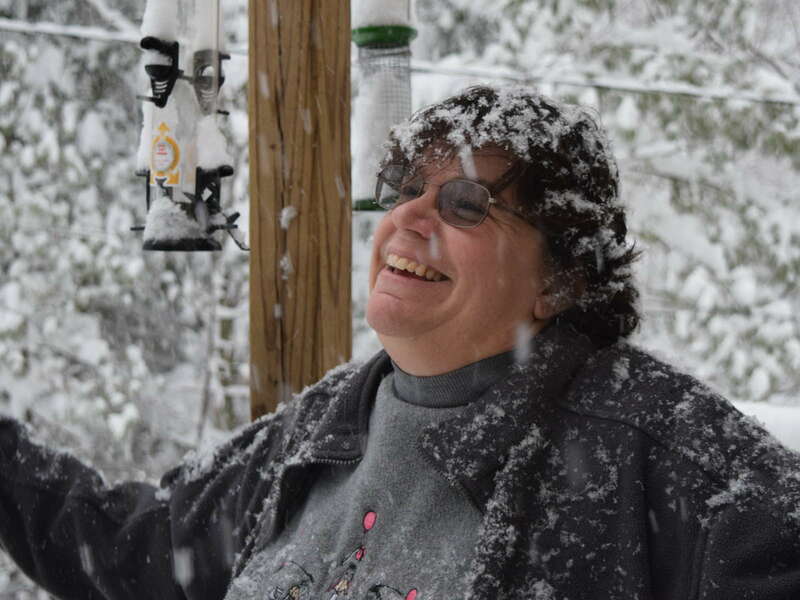 In the snow. In early November. Sigh. 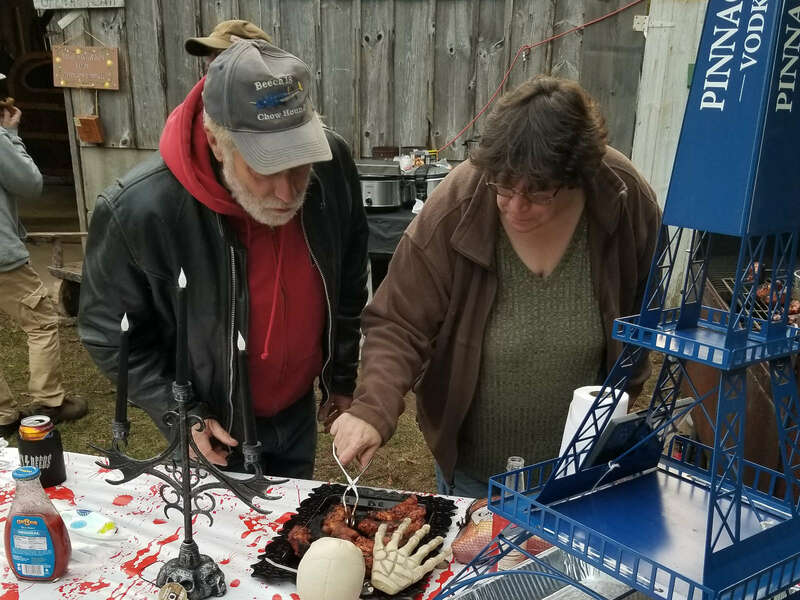 Karen was trying to arrange the ribs into a gruesome scene, but it wasn't easy because they looked so delicious that people kept filching them before she was done with the arrangement. 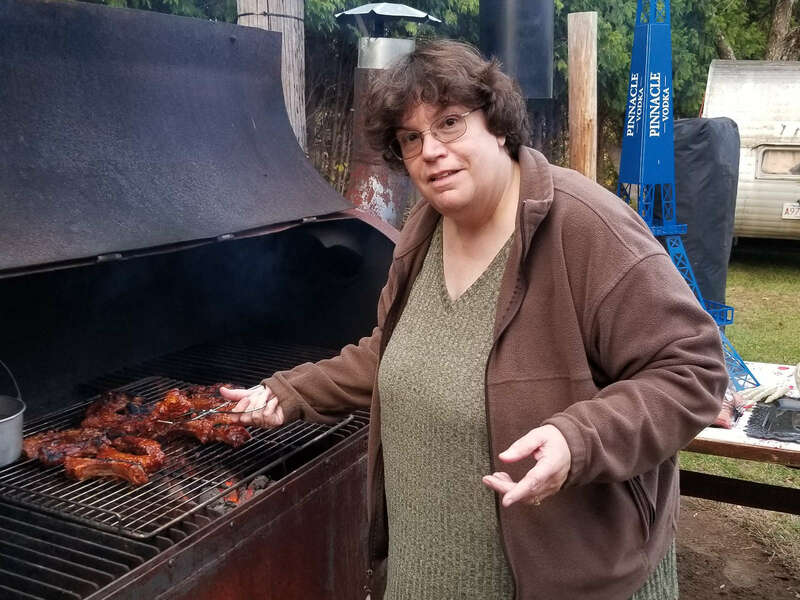 Karen grills up some ribs on the home-brew cooker at the annual Romp In the Swamp campout. Gordon couldn't come with this year because of theater performances. 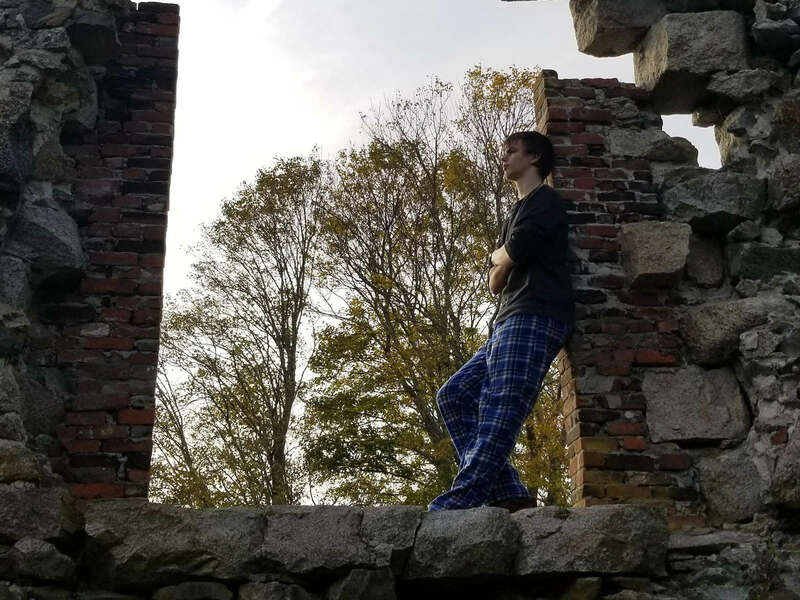 Danny at White's Factory, the ruins of a cotton mill dating back to the 1700s which is near the location where Karen and the boys went camping. 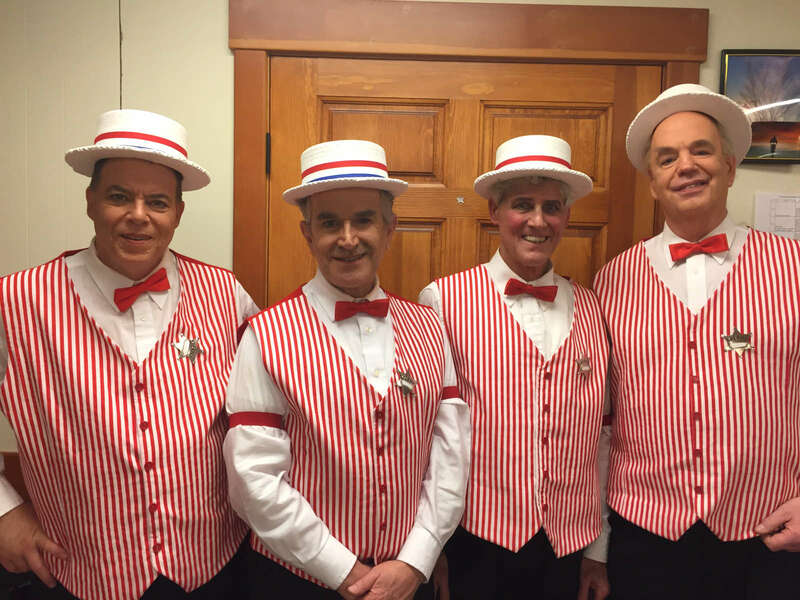 Gordon with theater buddies Angelo, Wayne, and Corky, the four singing members of the River City School Board in "The Music Man". While the power was still out and Gordon was at work, William, Karen, and Danny took a break from the darkness to watch TV at the resort. Portrait of a power outage. 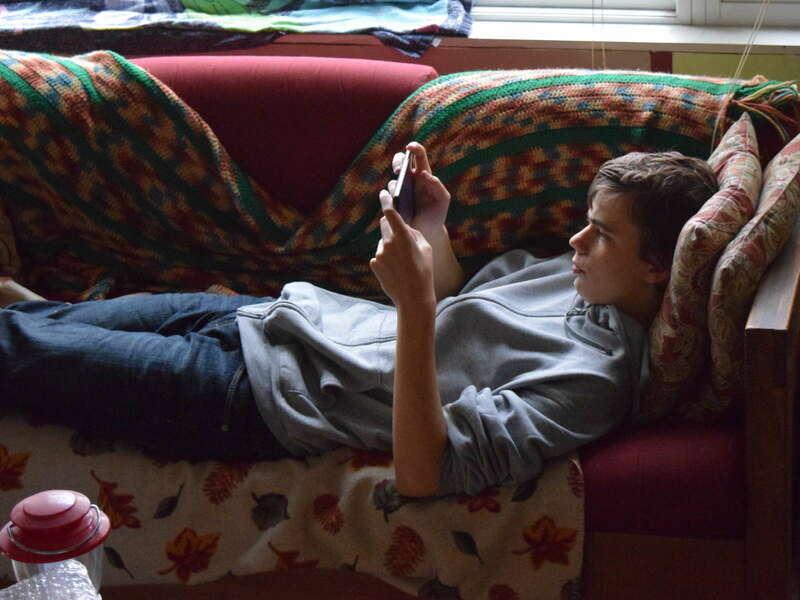 Bored Danny milking the last of his tablet's battery power. Towel on sill catching hard rain that leaked through. LED lantern on table waiting for darkness. The cause of our power outage? Only one of several. 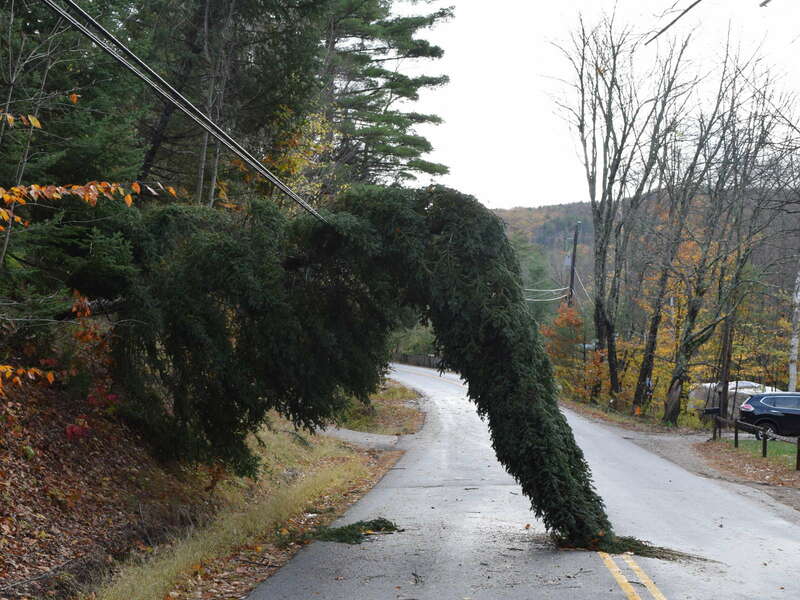 This tree, resembling some fanciful Dr. Seuss creature, snapped power lines but was no match for the cable and telephone wire bundles. 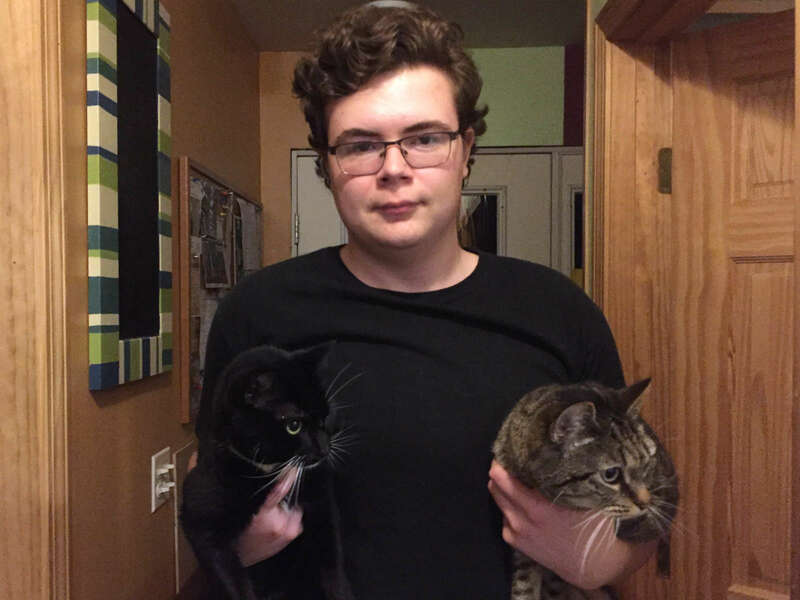 William with a pair of cats. 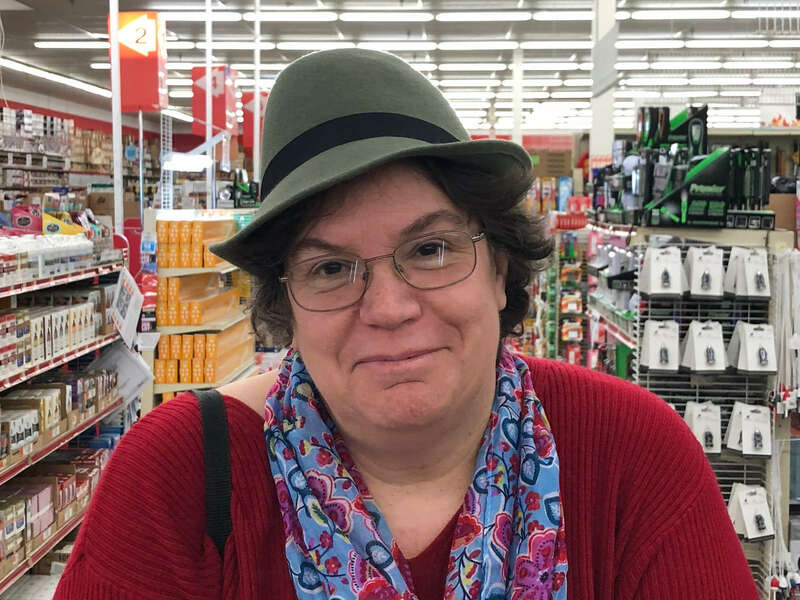 The cats are only interested in what's going on in the bathroom, because Karen is there making preparations for medicating the two hapless felines. 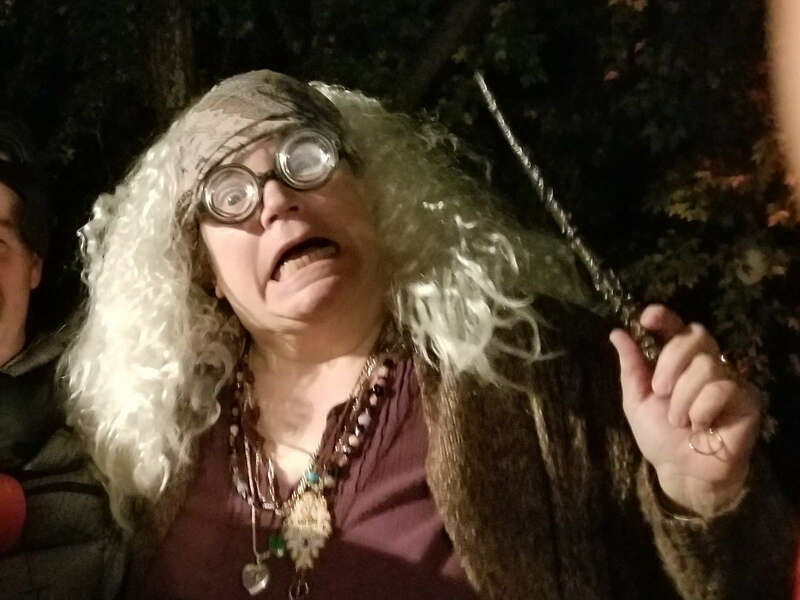 Karen transformed herself into Sybil Trelawney, the divination professor from the "Harry Potter" stories for an early Halloween party. 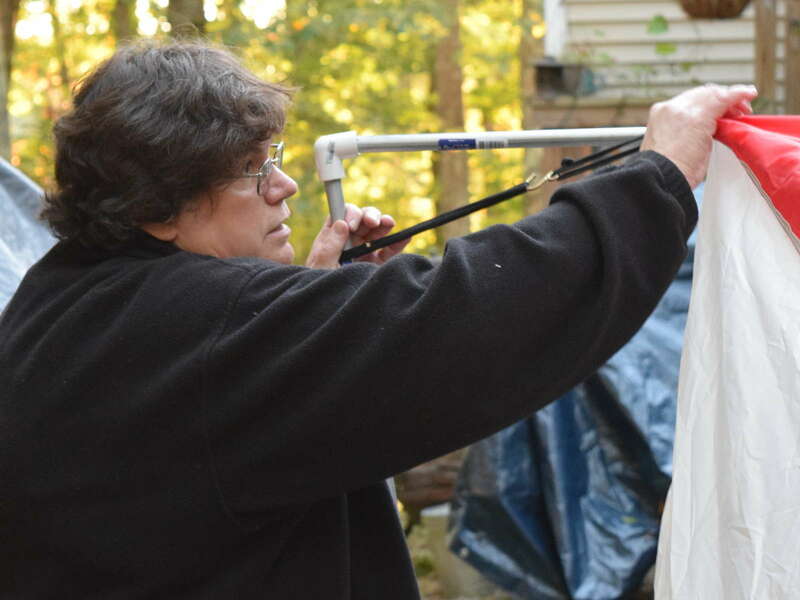 Karen makes some adjustment to the frame she's building to make a canopy tent into a baker's tent. 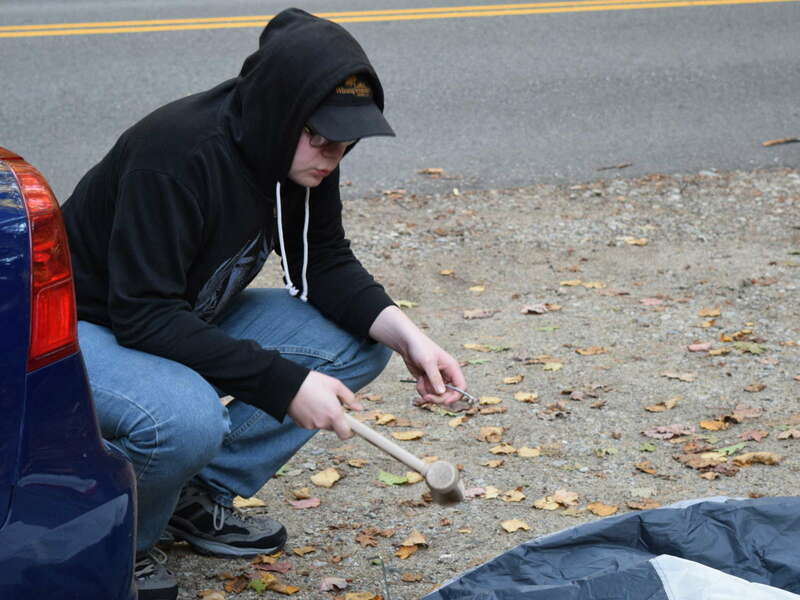 William stakes down a corner of a tent that Karen is attempting to transform into a baker's tent for a short late-fall camping trip that's coming up. 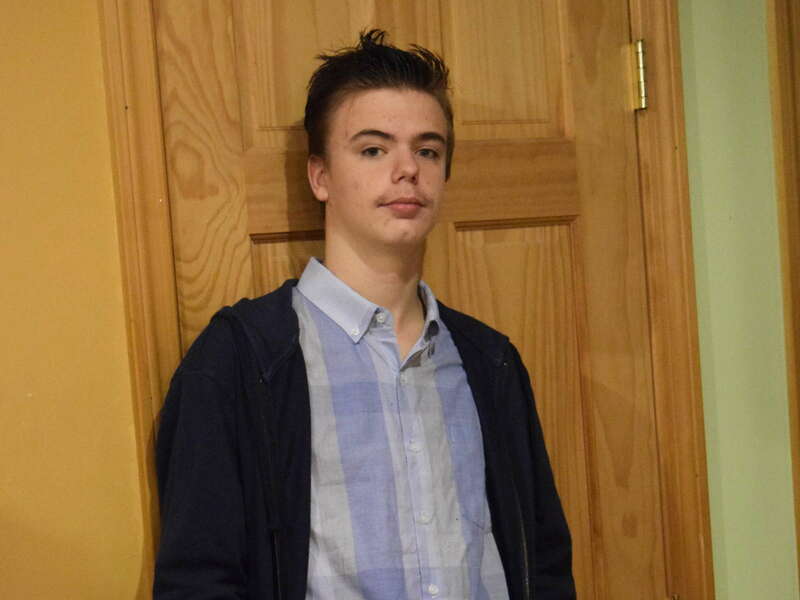 Danny transformed into Barry Allen, alter-ego of "The Flash." 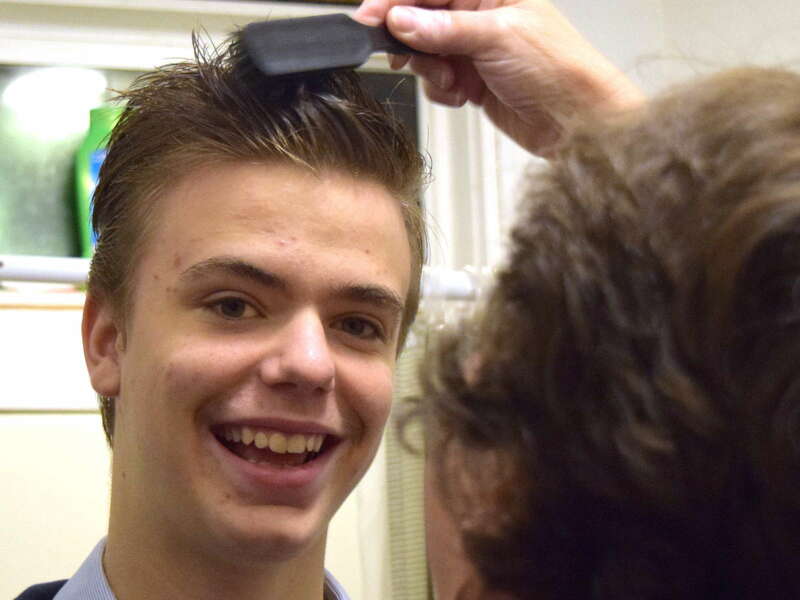 Karen help Danny makes some changes to his hair for "Super Hero Day" at the high school. 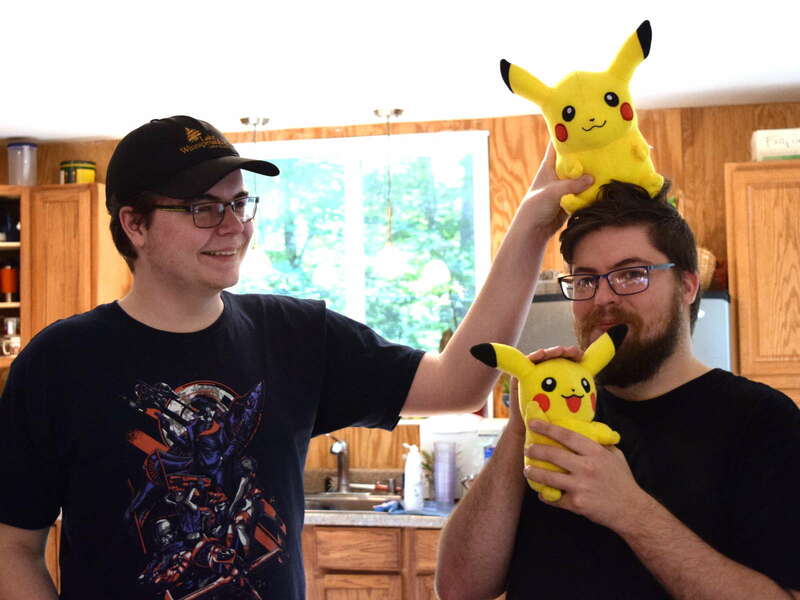 William and Tom compare Pikachu plush after coming back from a Pokemon event in Hartford, Connecticut. 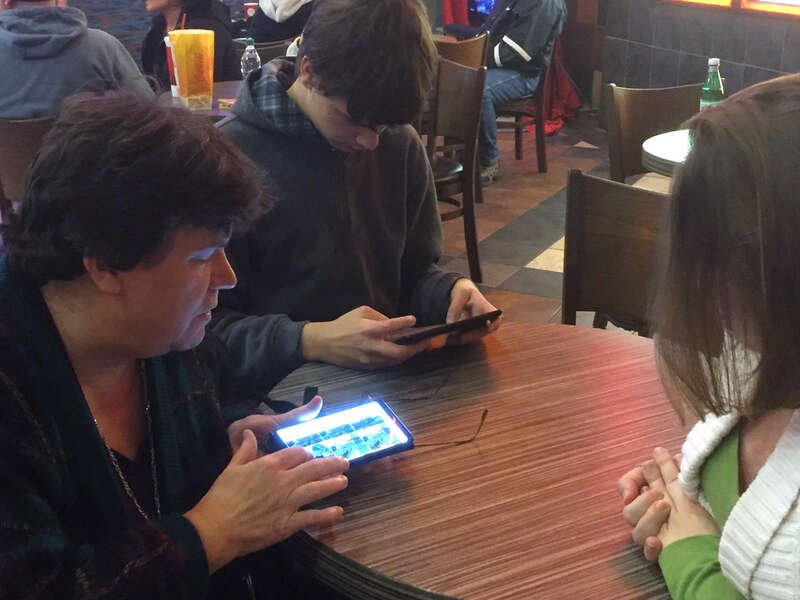 Karen, hooked into earphones, watches a movie to escape from the noise of three teenagers playing videogames at the resort. 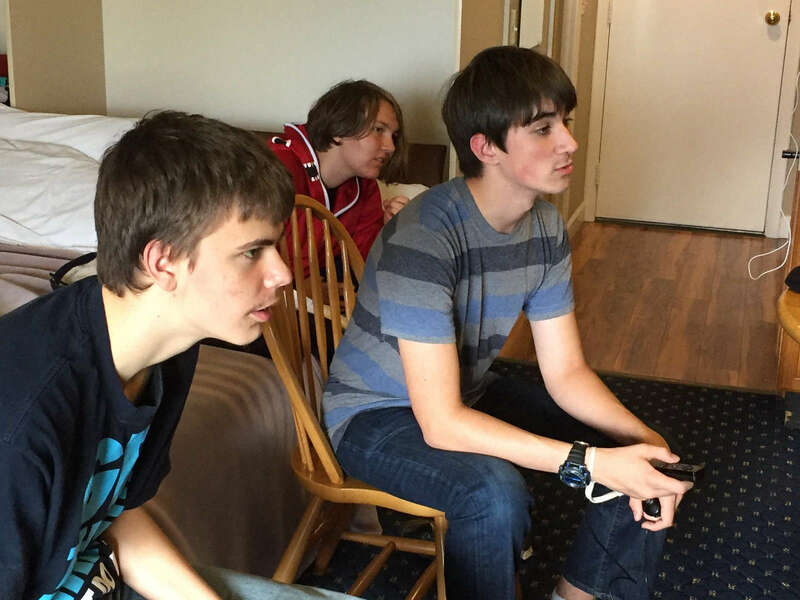 Danny and friends Adele and John play videogames in our room at the resort. Click here for another page of photos!